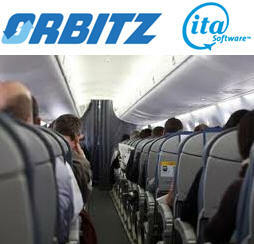 February 8, 2011 - Orbitz Worldwide, on Monday announced the signing of a long-term renewal agreement with ITA Software, Inc., a leading provider of innovative solutions to the travel industry. The agreement includes terms for Orbitz Worldwide?s use of ITA?s QPX software for the Orbitz.com and CheapTickets.com websites through December 31, 2015. An ITA customer since the launch of Orbitz.com in 2001, Orbitz Worldwide will continue to take advantage of the innovative features and functionality of ITA?s QPX Software, a comprehensive management system for airfare pricing and shopping that helps provide Orbitz customers with flexible search options and customization choices. ?ITA's QPX system continues to help Orbitz offer its customers millions of different flight choices from the hundreds of airlines we offer on a daily basis,? said Mike Nelson, president, Partner Services Group, Orbitz Worldwide. ?We're pleased we can continue this partnership with ITA Software to help make Orbitz Worldwide a leading place online where our customers can come to our Orbitz.com and CheapTickets.com sites and quickly comparison search and book the best flight options.? ?Working together since before they even launched in 2001, Orbitz.com has consistently been an innovator in air travel distribution and has adopted new QPX product features to bolster its consumer value proposition as a place to search for and book air travel,? said Gianni Marostica, chief commercial officer, ITA Software. ?Our partnership with Orbitz Worldwide continues to be rewarding as we work together to deliver next generation search and book capabilities to consumers.? Orbitz Worldwide's history of innovation in airfare comparison shopping, booking choice and customer care continues to be unmatched. Orbitz launched in June 2001 with the innovative flight matrix user interface that is now copied by competitors as a leading comparison shopping tool for air travel. Orbitz led the market by launching features like Deal Detector and offering customers the unparalleled Price Assurance program when booking flights on Orbitz website. With Price Assurance, Orbitz customers know they will get the lowest price for airfare on Orbitz or receive a cash refund?automatically. With Orbitz customer care, the company employs a team of former air traffic controllers who monitor the skies for delays and travel related disruptions. Since 2001, Orbitz has sent more than 200 million alerts via text message, emails or actual phone calls reminding customers about travel related delays. In 2010, Orbitz introduced new mobile booking tools for customers, including an updated mobile website and native apps for iPhone and Android? smart phones. ITA Software (www.itasoftware.com) is a leading provider of innovative solutions for the travel industry. ITA?s QPX, a comprehensive airfare shopping system, is used by leading airlines and travel distributors worldwide including Alaska Airlines, American Airlines, Bing, Continental Airlines, Hotwire, Kayak, Orbitz, Southwest Airlines, TripAdvisor, United Airlines, US Airways, Virgin Atlantic Airways, and others. ITA is now offering a completely new airline passenger reservation system to improve the customer experience. On July 1, 2010, ITA announced a merger agreement to be acquired by Google. ITA was founded by computer scientists from MIT and is headquartered in Cambridge, Mass., USA.